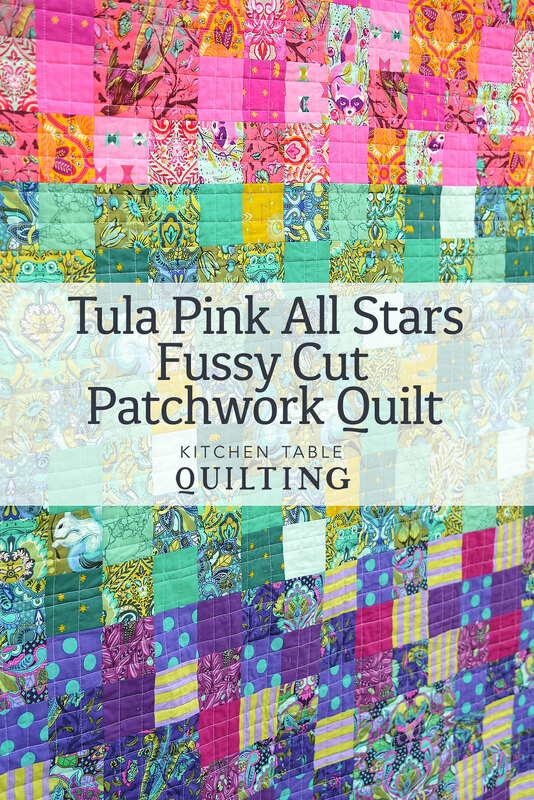 The Tula Pink All Stars collection was really fun to work with. 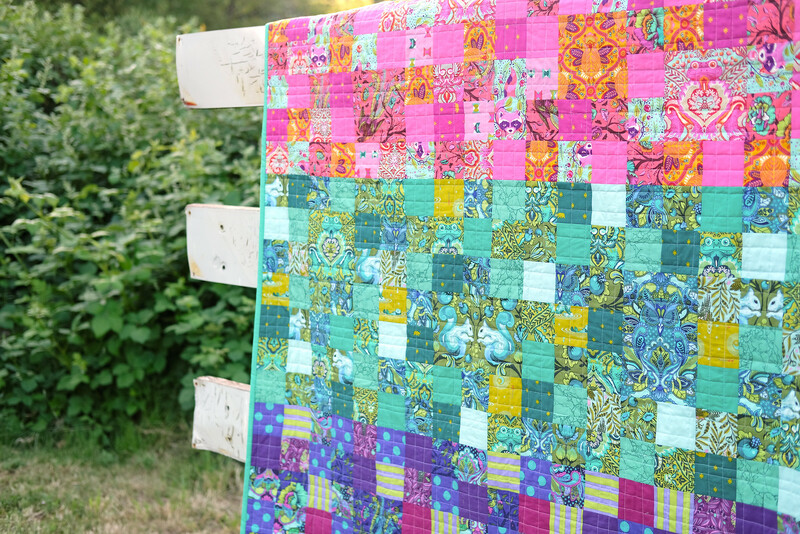 My kids loved it - whenever they walked in the room while I was working on the quilt top, I would hear a "whoa!" or a "wow!" or an "I want that quilt!" I was conflicted about cutting into the fabric. 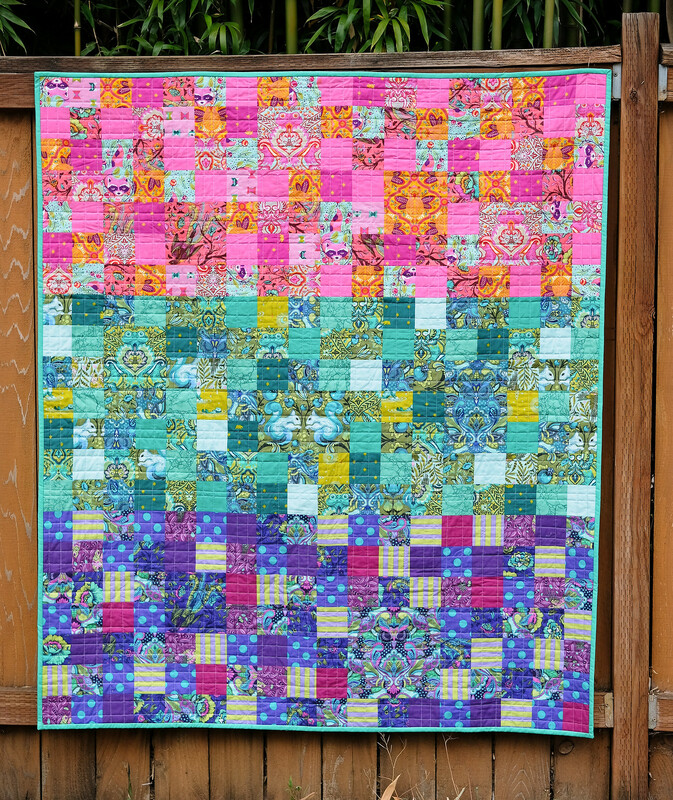 Lots of squirrels and raccoons and birds were harmed in the making of this quilt, but I decided to save a few of them and did a few larger, fussy cut pieces. 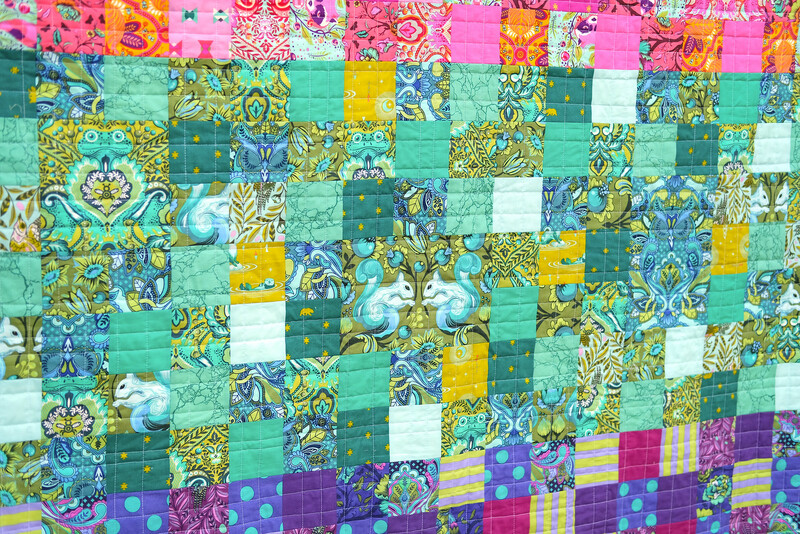 There is a lot of crazy going on in this quilt, but if you look closely, you can see them. 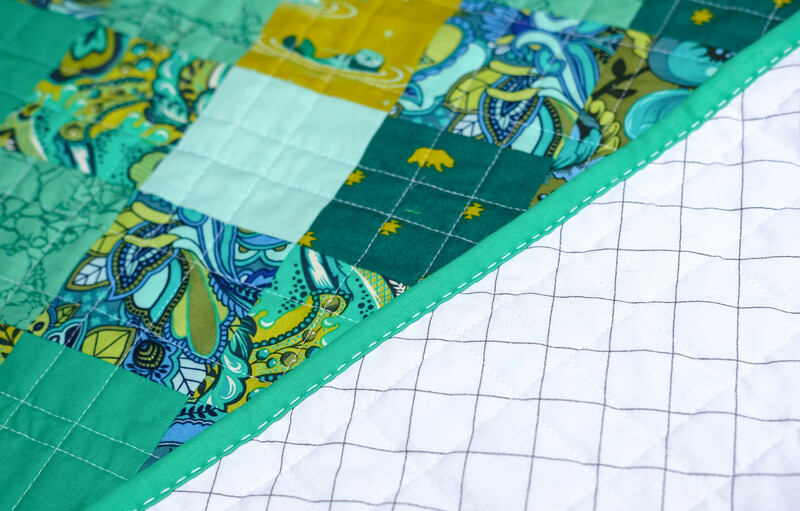 The fabrics for this quilt are from the April Culcita Box Subscription. Because of the fussy cutting (which is not the most efficient way to cut fabric) I cut into a few solids to help make the quilt a nice lap-size. For the quilting, I did an organic grid. The backing is one of my favorites - Carolyn Friedlander's Widescreen. I thought it would be good to have something a little less crazy on the back. The binding is a Tula Pink solid and might be my new favorite color. I hand sewed the binding down with my normal big stitch method. Finished size: 54" x 63"
Nice way to show off that pretty fabric. I understand your kids' reactions. Wow! This turned out beautifully! Love it. The bigger blocks are a great idea.